Summary: Programmatically updating stages/process for Business Process Flow in MS CRM 2013. 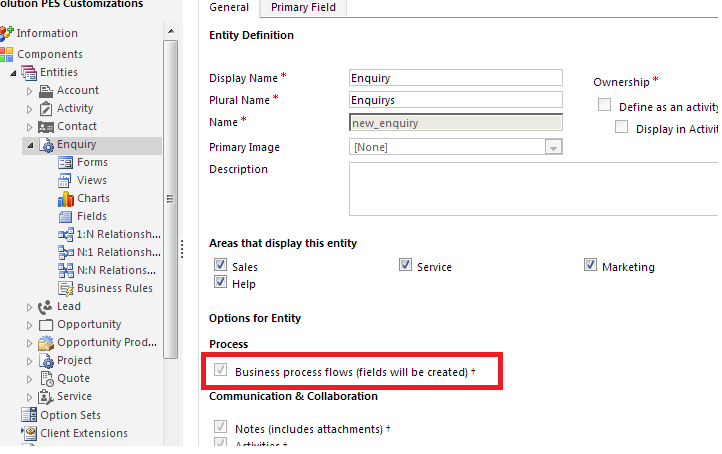 New release of CRM 2013 allows creating Business Process flows for custom entity as well. It also allows creating multiple processes flows for the same entity. Different set of users can have different flows based on the business requirement. Even in some scenario’s we may need to shift from one process flow to some other process flow which should be generally done dynamically based on certain conditions. We can enable Business Process Flows setting during creating custom entity or even we can update this in settings after the entity is created. Once we enable this 2 fields gets created for this entity.